Anyways, the KJW should be hitting the market soon and after extensive testing, ie shooting a lot in my backyard, I'd say it's safe enough to make a review. So anyways, here's my 3 week old KJW, plucked straight from the KJW factory in Taipei actually. The KJW is an interesting GBB, since it came last, most people think it's just a copy of all the others, but this has its own system designed by Tanio Koba. I feel special, it might be the first KJW to even make it out of the country. It's very solid, no wobble what so ever, except slightly from the stock. The finish is a nice matt black on the furniture. The magazine, TK loves thermold mags apparently. Not plans for STANAG yet. 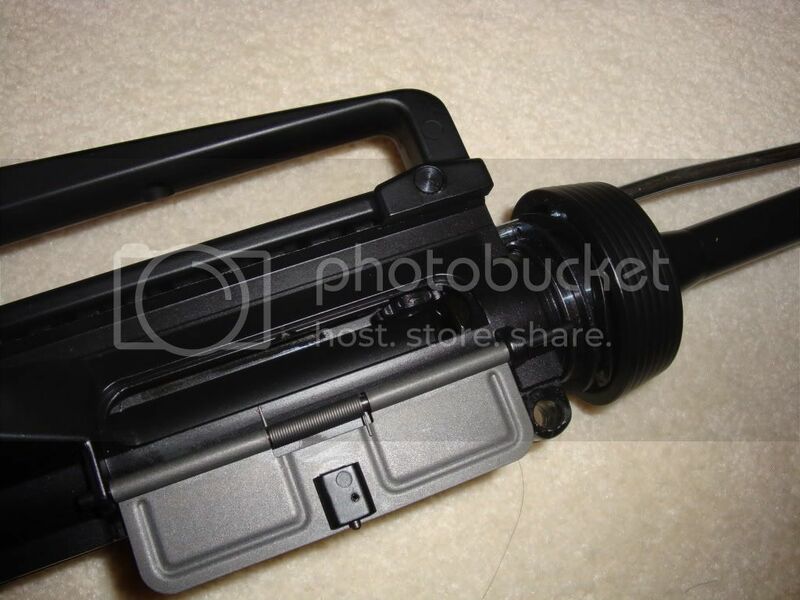 But the larger thermold mag allows a bigger gas tank inside the mag. A good sacrifice if you ask me. The top of the magazine. 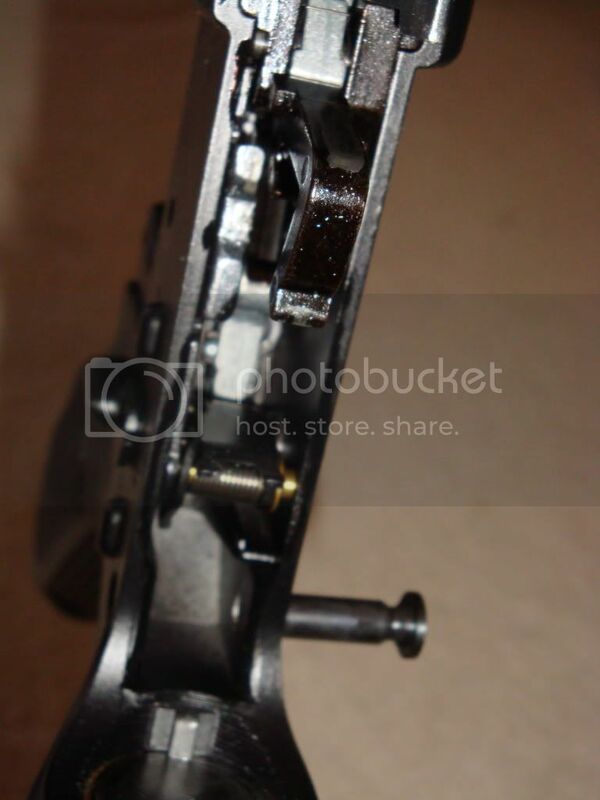 Here you can see the lever for turning the bolt lock on and off. It's currently on right now. 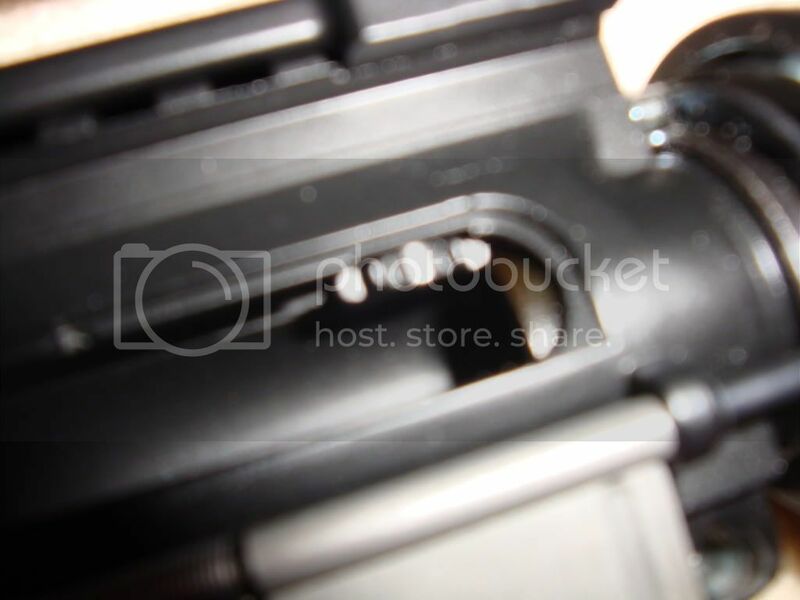 Inside the magwell, looks good. This is after over 40 mags of use and no lube. Still looks good to me. 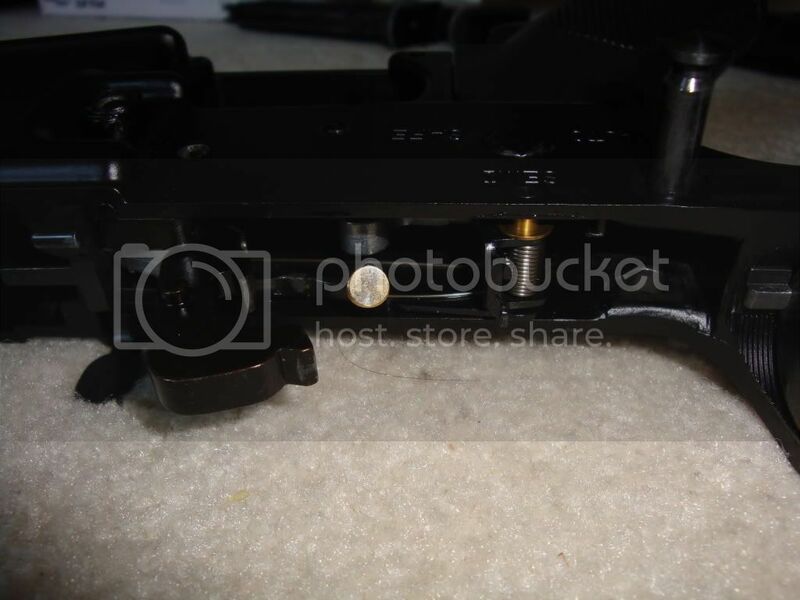 The buffer spring. I got another spring and plug in the package. 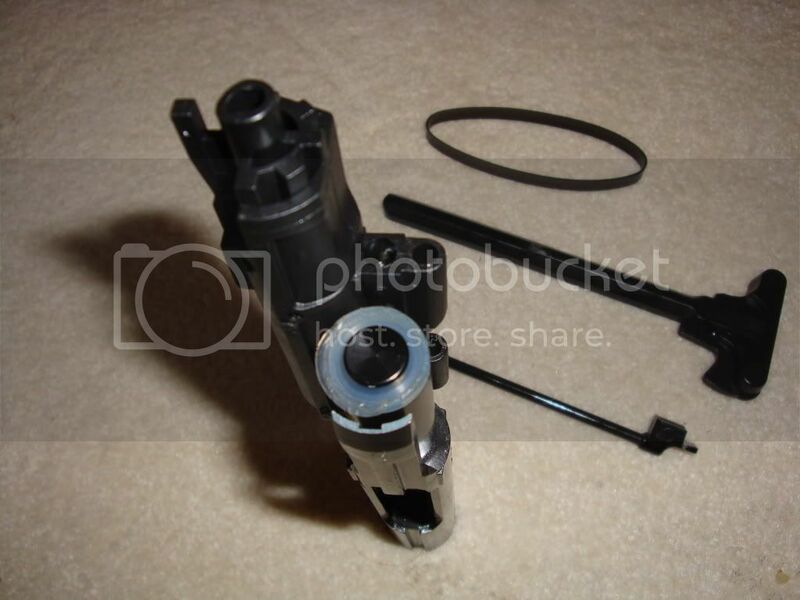 This is the aftermarket one, it's apparently supposed to help the bolt locking. But I think it made it more powerful. Before I start on the guts. THE RUBBER BAND DOES NOTHING, TK IS MESSING WITH ALL OF YOU. 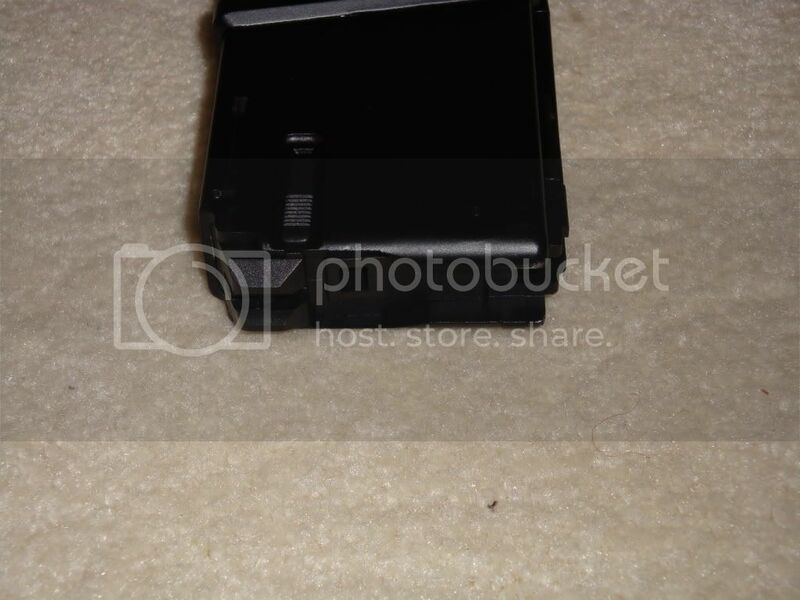 I've shot the gun with and without the rubber band, it does nothing. Even in the manual it just says the rubber band sits there not hooked or doing anything. The ONLY thing I can think of is it dampens the recoil and preserve the parts. 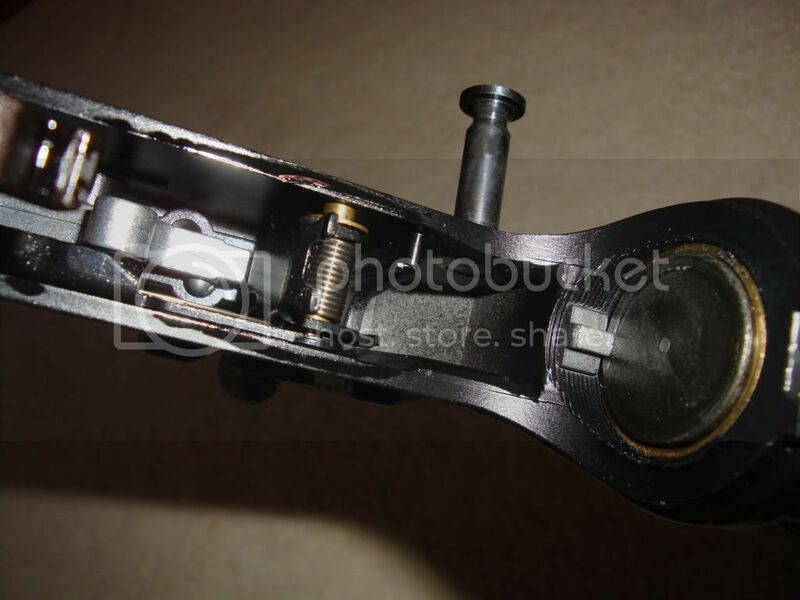 The major parts of the bolt. I really can't see an especially weak point. Well, maybe it's just mine, or KJW still hasn't improved on their pistons, air seal is still good though, even if it looks funny. But this is also important. 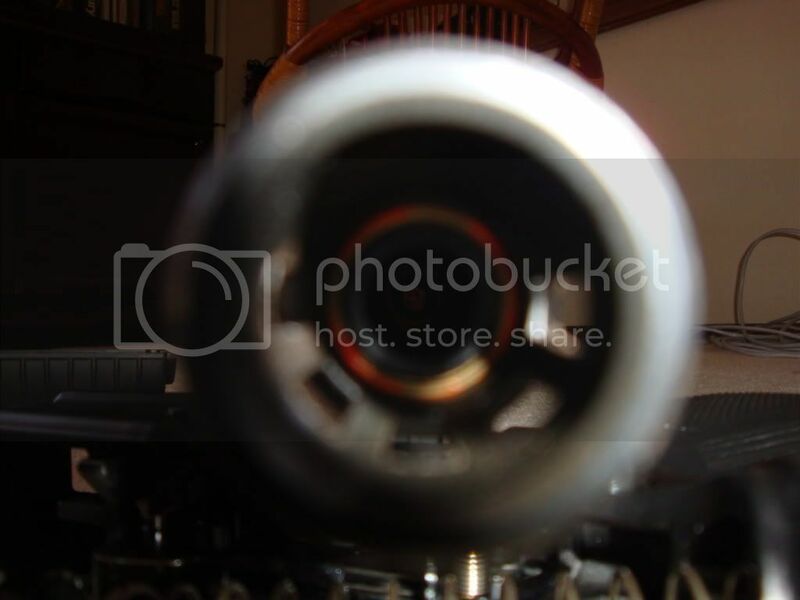 Well, enough about pictures, how does it shoot? Here's what I reported a while back in the KJW thread. As you can see from the tests, the power is pretty consistent. Most likely thanks to TK's design. That's in METERS per second, which translate to about 475 fps of velocity. Just slightly too hot. 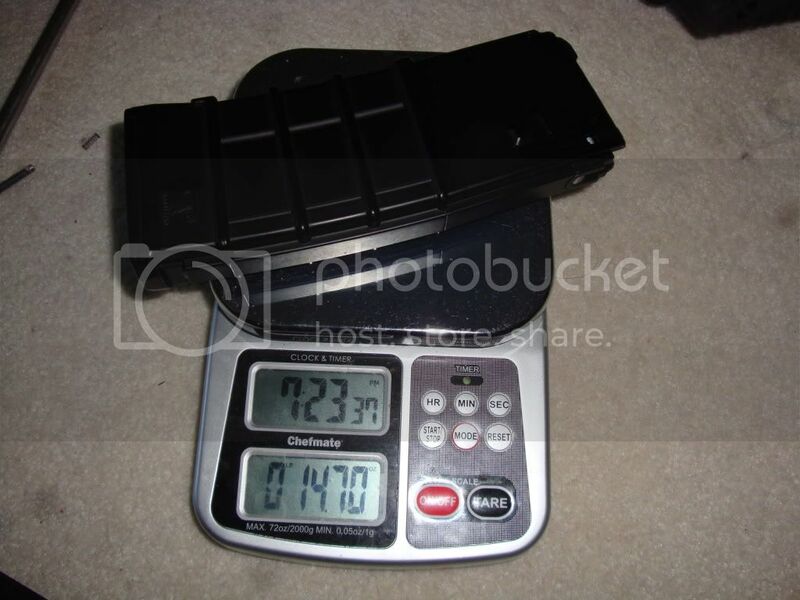 Keep in mind that's from a M733 barrel with a less than perfect piston head. 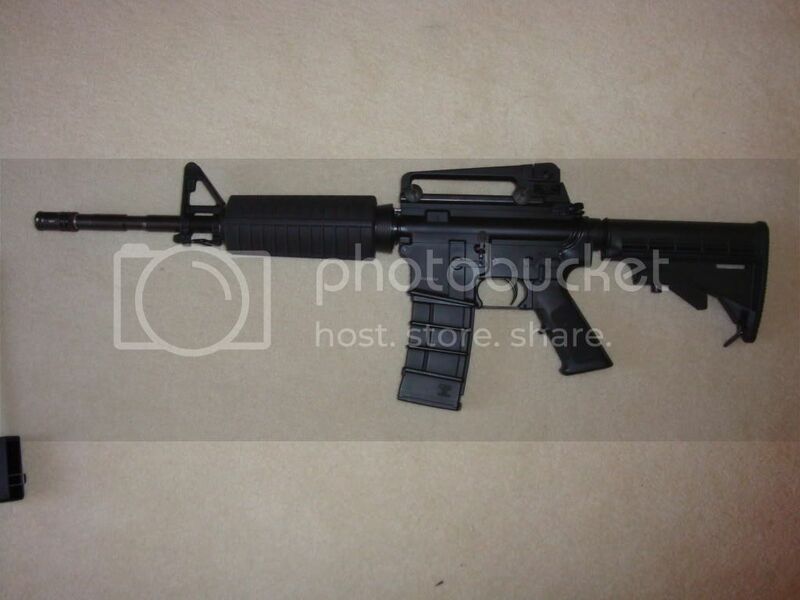 With an M4 barrel and good piston head it'll easily crack 500. Not for you europeans unless they make an export version. 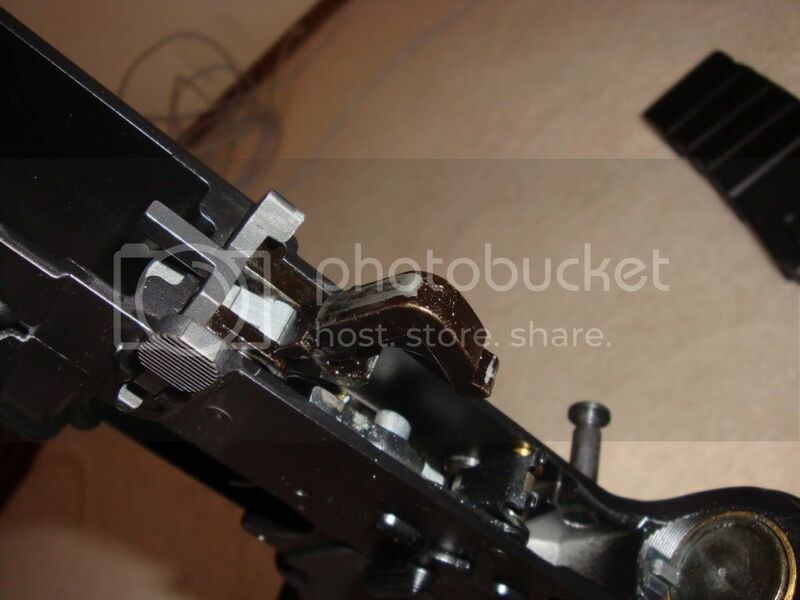 The hopup took some shooting to break in, but now it's much more responsive and works. I'd suggest using .25g's if you have them, after all, this gun is shooting well over 400fps. One more marking on the gun, the last one is on the front sight. Anyways, that's it for now. MSRP is around $250. Mags are MSRP at $30. I had the chance to shoot the WA, KJW, WE, AGM, and G&P. Out of all of them, the G&P felt the nicest, but for the price, KJW can't be beat. Well, I think that's all, I hope you guys like it. Please ask if you have any questions or picture requests. I'll do a better range test when I'm not so lazy. Oh, one more thing, THE RUBBER BAND DOES NOTHING. 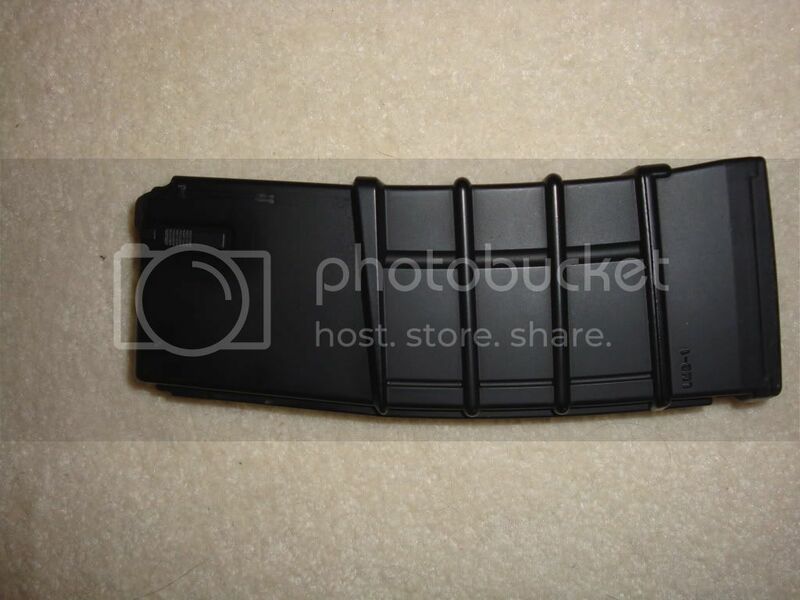 And also forgot about the magazine capacity, it's 30rds, and a full fill can shoot 2 mags on full auto, provided the mag was warm to begin with. Very nice, brief review, Donut. What's the receiver made of? 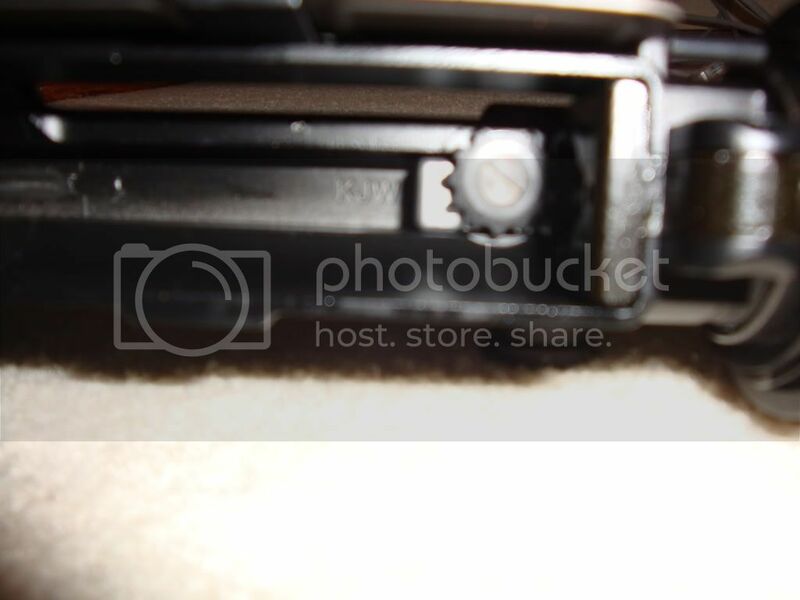 What's the bolt carrier and bolt made of? What're the trigger, sears and hammer made of? 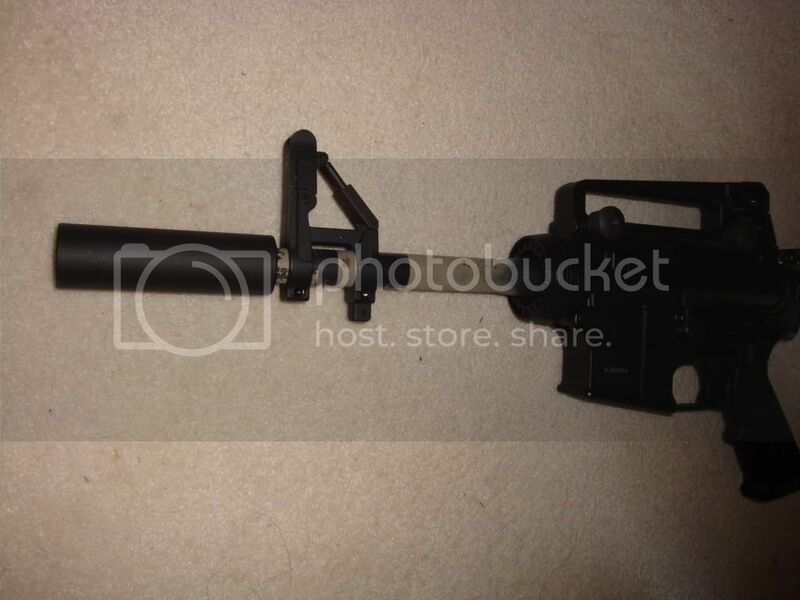 What's the outer barrel and front sight made of? Apparently the big selling point is that it fits AEG parts. 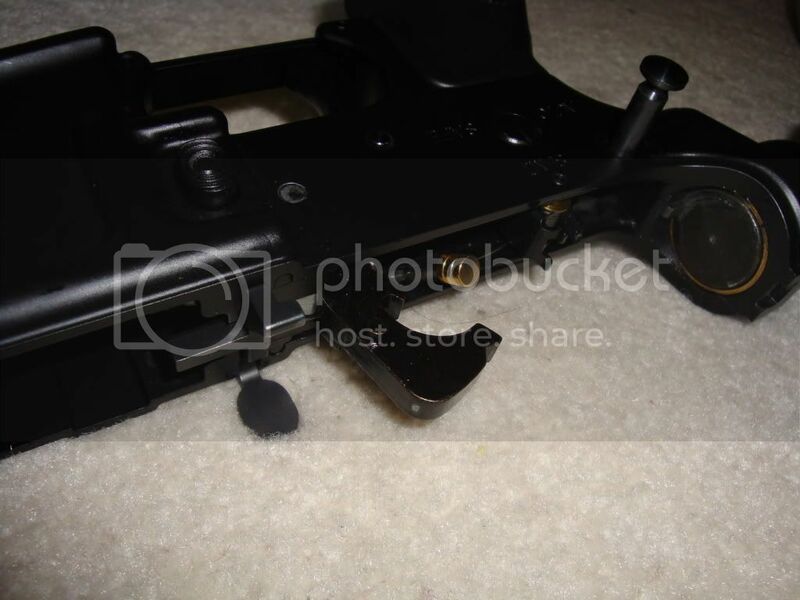 Have you tried fitting an AEG front end, trigger guard etc? 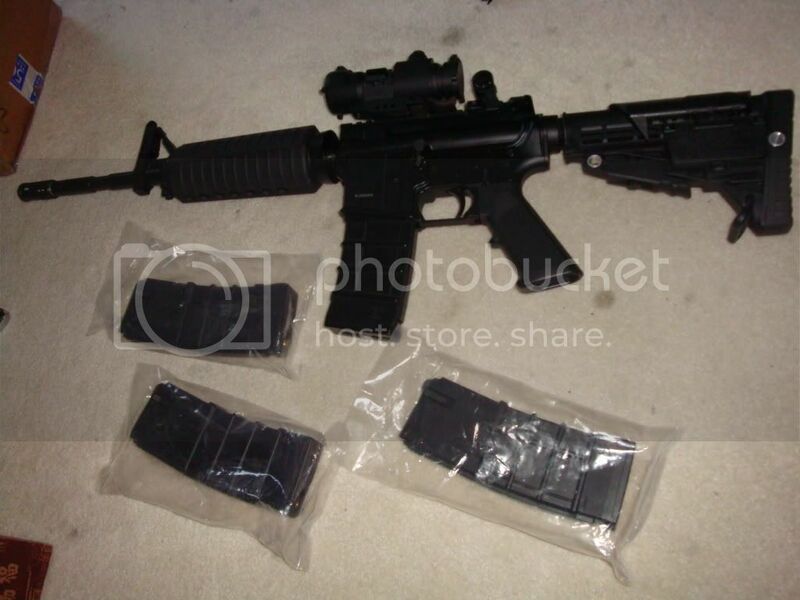 Does it fit an AEG barrel and hop-up parts? 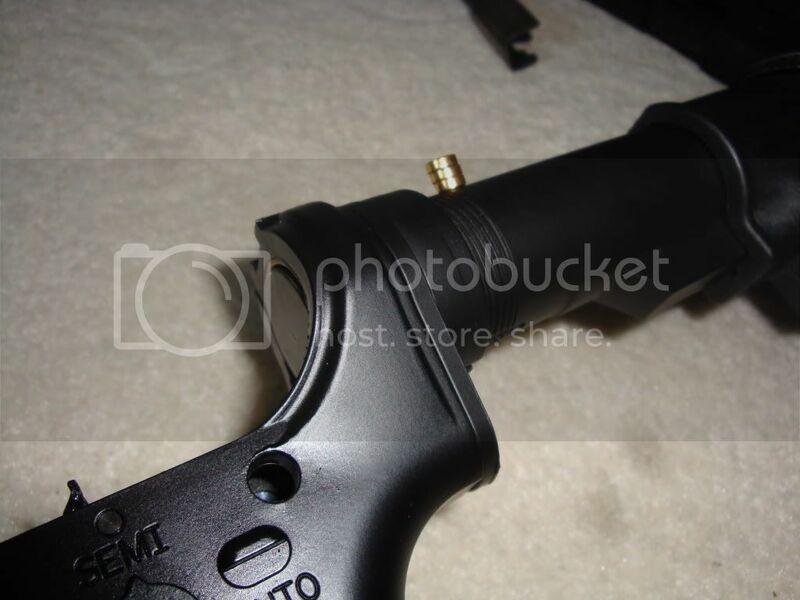 Is the buffer tube the correct diameter so AEG stocks will fit? Will AEG foregrips fit on it? 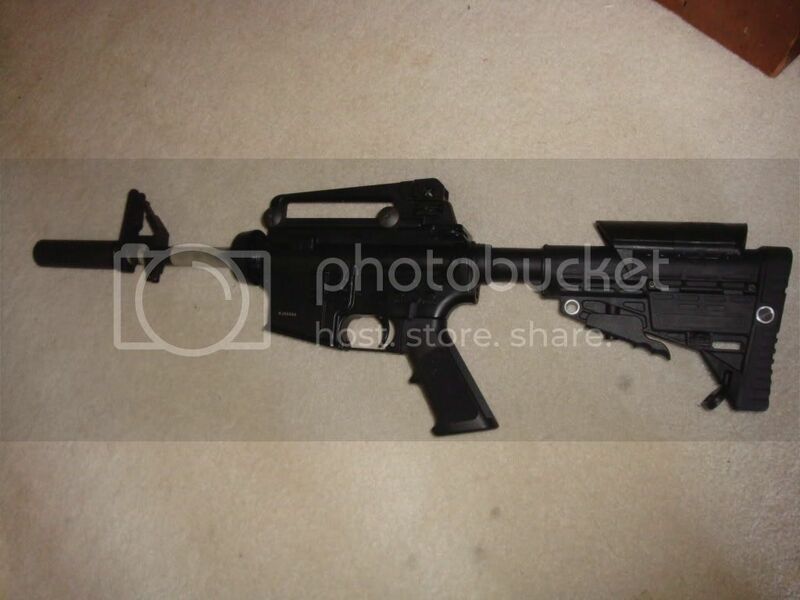 What about the pistol grip? Will an AEG flip-up front sight go on the barrel? Does it have a threaded muzzle - 14mm +/-? Way more information required please. Good review man, way to step up and just write one. I wish I could just straight get guns from factories too. 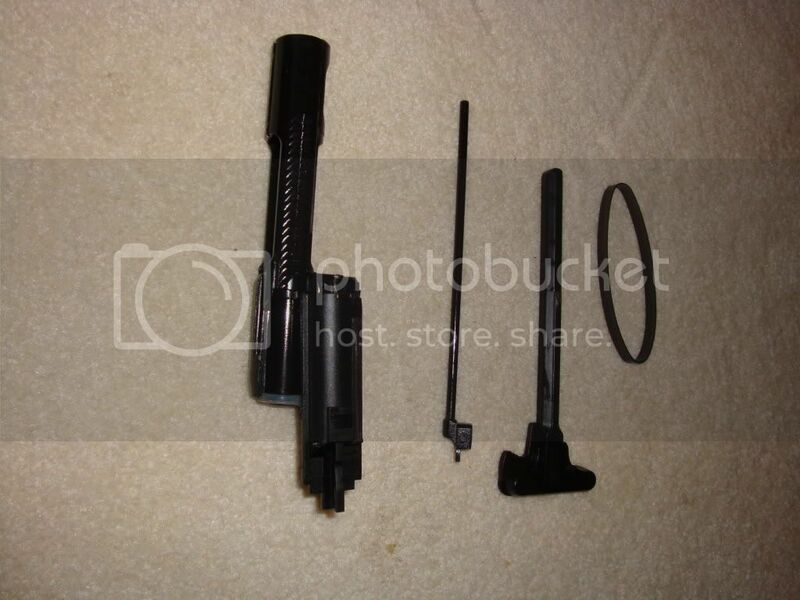 The reciever is said to be aluminum, and the outer barrel is said to be a 2 -piece design. Can you confirm this? Do a magnet test on the whole gun to determine which parts are steel and which aren't. 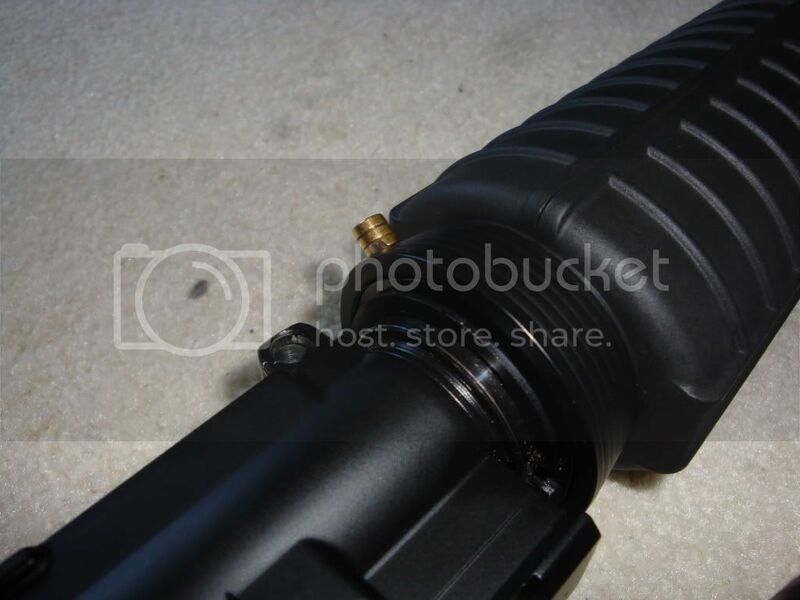 I'm actaully diggin' the bolt stop on the KJW, it looks way beefier and looks like it'll catch every single time, unlike the WA bolt catch which is poorly designed IMO. Other than that I think I'll keep my AGM and it's support from the market. I don't seem to like anything else on the KJW. This system needs time to really find out what it's about. Still, another option, that's good. Would that be a black horse ? Anyway, nice review, looking forward to additional information. Alright, by popular demand. 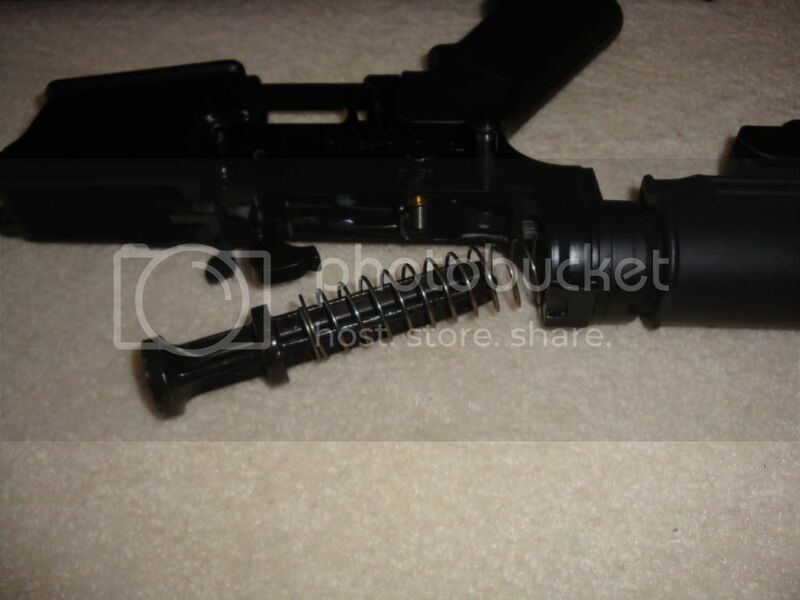 The metal bits are on the body, buffer tube, trigger, barrel, front sight, magazine, delta ring, flashhider, etc. 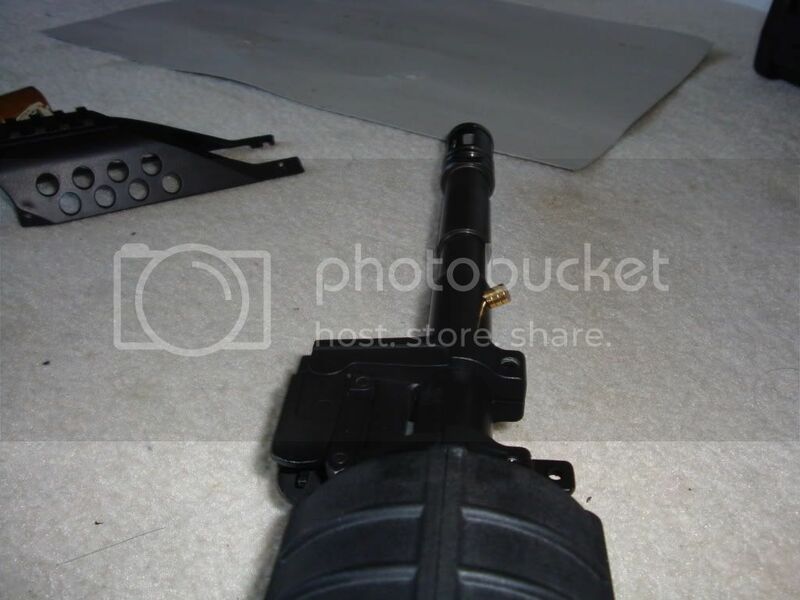 All the metal bits you'll expect on a "full metal"
Well, the barrel is two piece, but it breaks at the front sight, and right now, the inner is only M733 length so it doens't affect anything. 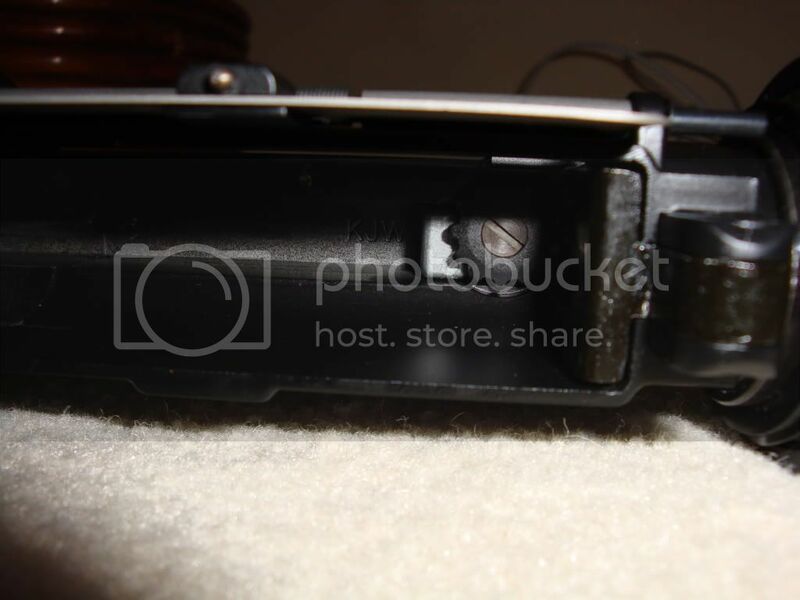 Not to mention the front sight also helps hold the two piece together. I think it's sturdy enough, considering I still can't figure out how to take it apart. 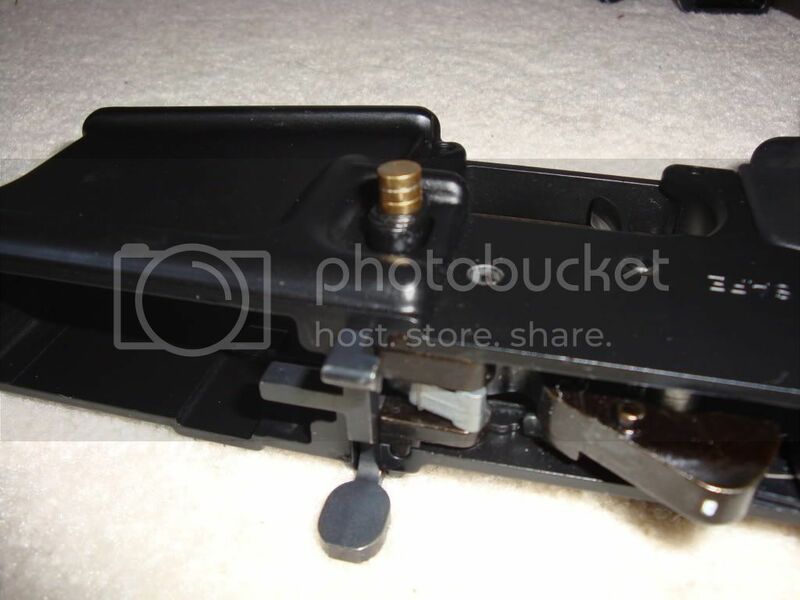 As for the receiver, it is aluminum, and according to the magnet, the barrel, D-ring, front sight, buffer tube, parts of the mag, top rail, and trigger are all steel. And the million dollar answer to the million dollar question. I think these pictures speak for themselves. And that's my real steel CAA stock, it fits with just a little bit of wobble, the TM M4 stock I tried fit almost perfectly. 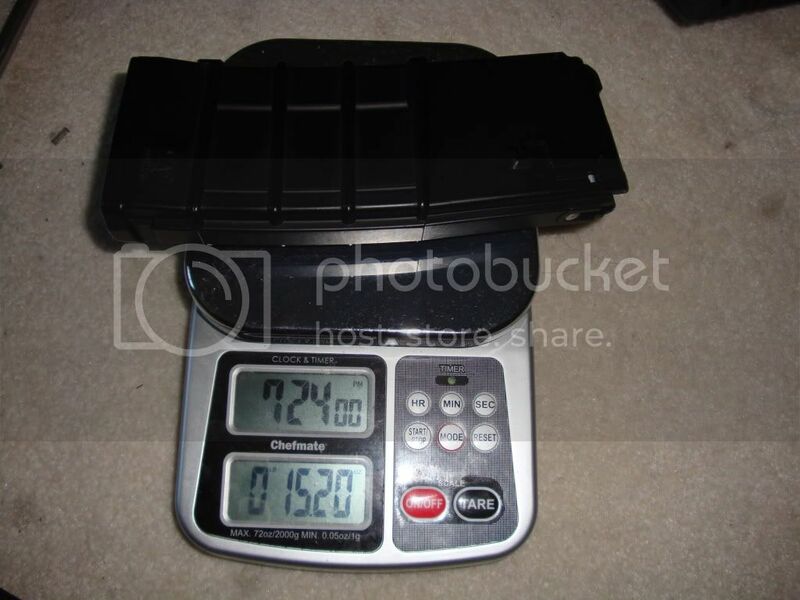 anyways if you've got access to a set of digital scales and a nice fresh can of gas, can you weigh a mag when empty then weigh it again when filled? A very interesting gun and system I must say, do you know if there are any plans to make it use CO2 like the WE? I assume you use propane/green gas? Does the magazine hold the gas well? No signs of leaks? 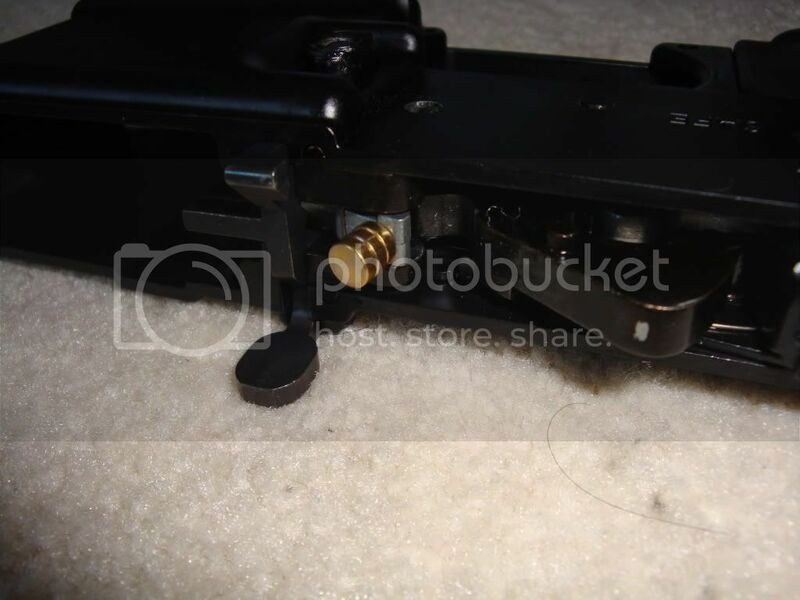 I always assumed that the rubber band was there to provide return tension for the charging handle if the gun were racked and the bolt held back. 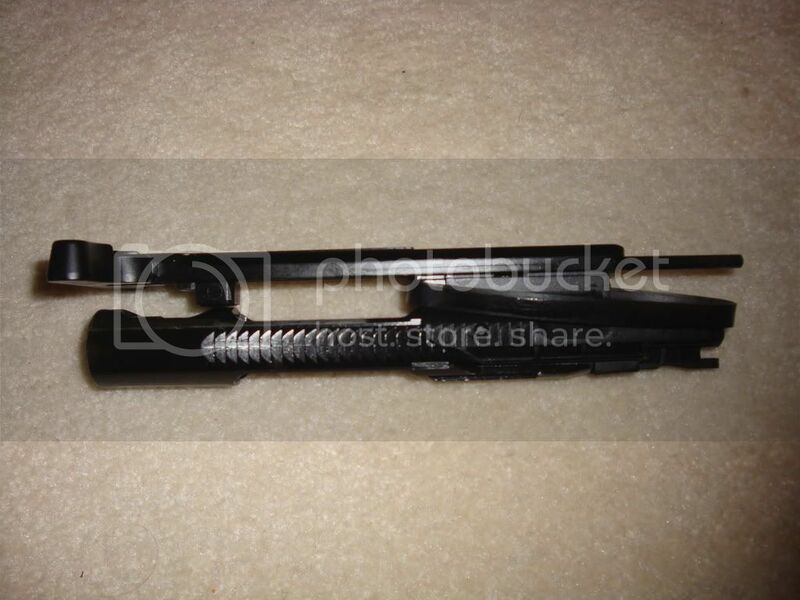 On real and the other gbb ar's the charging handle has to be pushed back of the bolt were locked back. Any information from the KJW factory if they're also going to be producing the Tanio Koba AK? 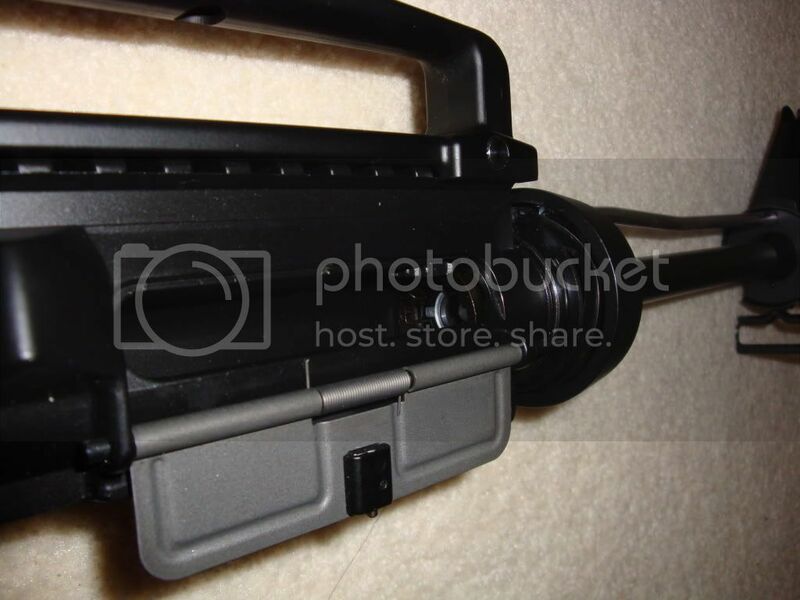 The rubber band does nothing, the charging handle works without the rubber band. 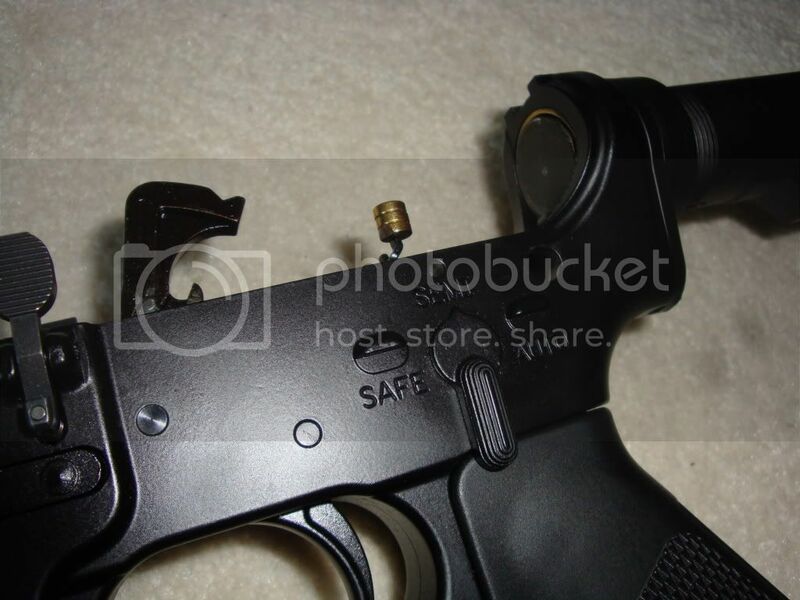 The only thing that won't work is if you have an empty mag with the bolt stop lever turned on. Then things gets funny. But otherwise, it works all the time. More than enough to shoot 2 full mags+ on full auto. Nice to see a cheap reliable platform finally coming out of the cracks. I know people are going to *badgeress* about, say the AGM, but I consider it to be a non contender. When I see reports of critical parts failure within a few hundred rounds, and then several hundred dollars in repairing parts that are sub standard, in part of a flawed system, I really don't understand. Be interested in picking one of these up to be honest. The power would need to be sorted, but its not a particularly difficult issue. You're right, don't compare the AGM, it's in a class of its own. But as you mention substandard parts that need to be replaced on the AGM. 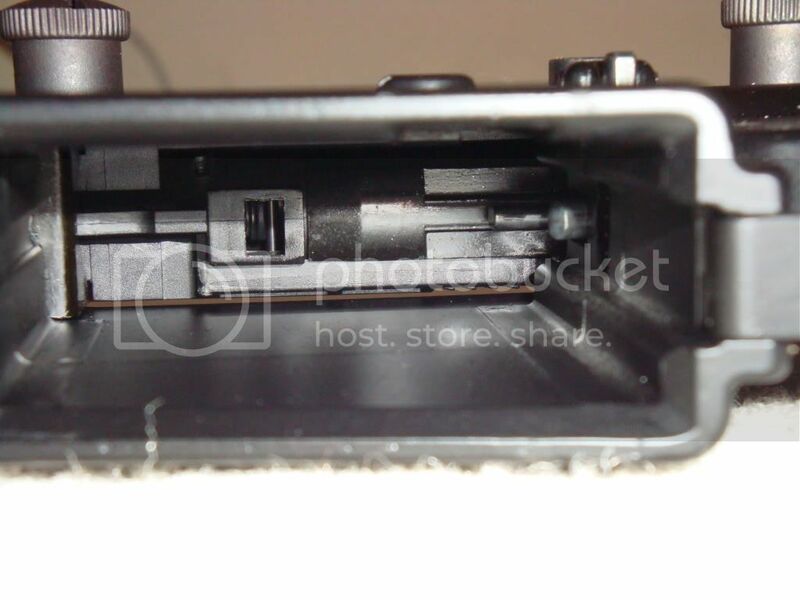 That's only the mechanical parts inside the receiver because they are made of alloy instead of steel and those can be upgraded with CNC steel parts for cheap. Now to the KJ: As far as I can see Donut's review didn't mention if the KJ's mechanical parts are made of alloy or steel, so I would wait with your judgment. 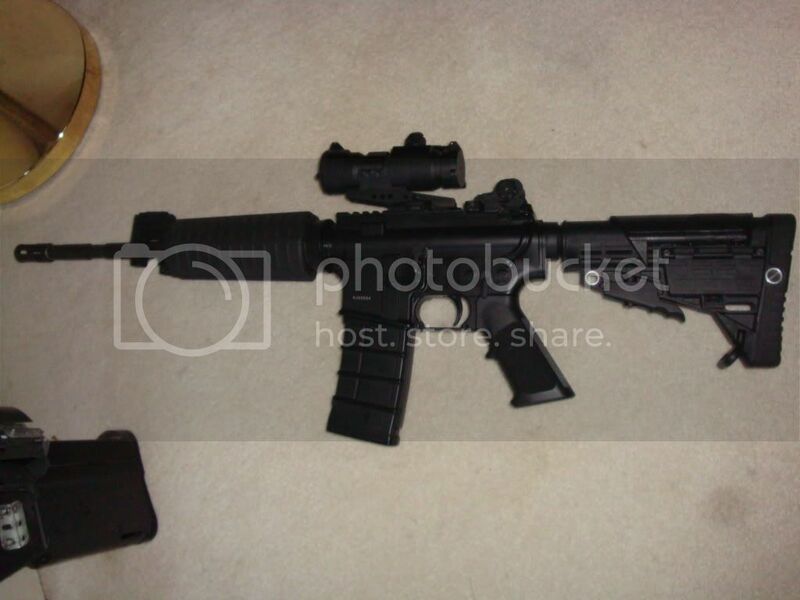 It would be nice to know if the carbine is compatible with Real Steel accessories, such as the SureFire M500 Millennium Carbine forend weaponlights or AR handguards with integrated Picatinny? Nice to see a cheap reliable platform finally coming out of the cracks. Reliable platform? The KJW hasn't showed us this yet! Off hand, isn't this the first gun made by KJW that wasn't a copy of an existing design? Be interesting to see how this manages for spares and upgrade parts. I wondered why his name was all over the box. 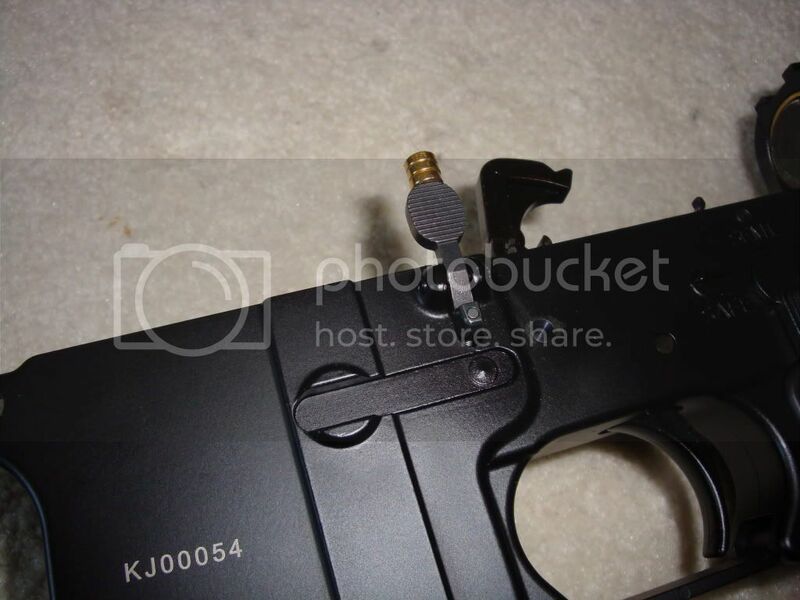 The point was more that every other KJW gun can be upgraded or repaired using parts manufactured for other weapons. Can we expect Prime, Shooters Design and all the rest to swing into action making parts for this unique gun? It seems like no matter what you do in life, there will be those who oppose or blinded by denial. But fear not, for I bring you pictures. For those that doubt the quality of these awesome rifles. Something tells me that other rifles suffers something about this? 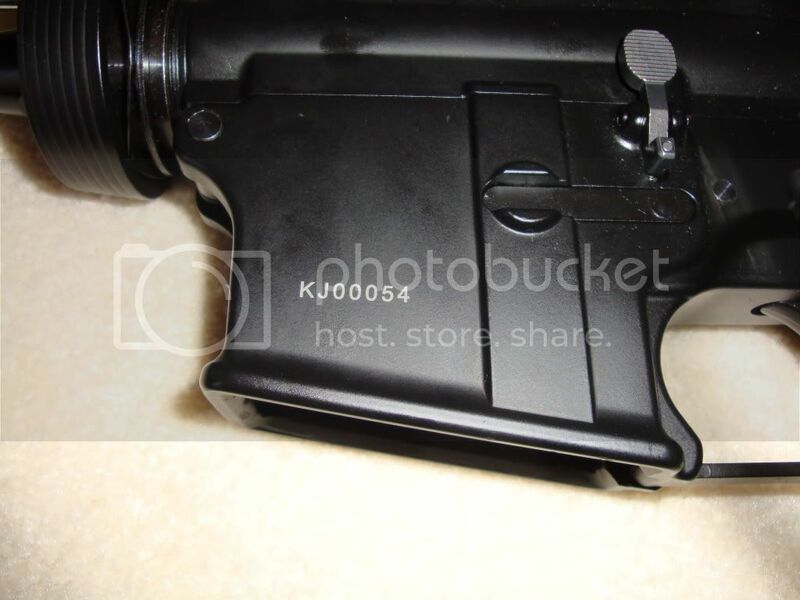 From my sources, KJW and other Taiwanese manufacturers have started making replacement and upgrade (and downgrade) parts for this rifle already. Tightbore and improved bucking should be out soon. well as the WA arent reliable out of the box thats not exactly a high acheivement, I think the point he was trying to make is that by being third gun out of the traps and currently without third party support, then the gun itself straight out of the box is going to have to deliver the reliability of a high round count. If on the other hand it can deliver massive round counts on its stock components it'll do deliver something the others havent and force folks to re-evaluate which is best mass market option. e.g. both these guns (and the WE) make use of AR style fire control components and I wouldnt trust the longevity of those in anything less than steel. Personally because of above - for years and years we get stuck with numerous gas guns where craptastic wear-prone original parts that couldn't be had for love nor money, and if it was one third party parts were available then they often werent much better in terms of robustness, but instead concentrated on 'better' performance (safe in the knowledge that even if that 'extra performance' was nothing but cobblers, folks would still buy their overpriced junk as the only option to obtain a spare part). 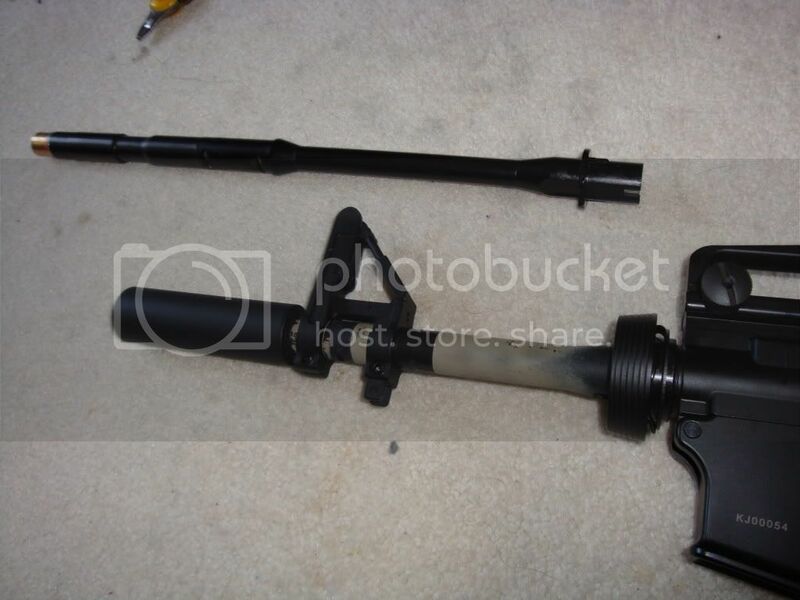 So these days I've given up on any manufacturer making a decent out the box gun - as a result I'd now rather buy an utterly craptastic out of the box gun that I could replace everything with heavy duty parts and be done with it, than a reasonable gun where Im stuck with no alternative to what it shipped with. WA might not like it (and certainly didnt intend it) but their design is the one currently shaping up to be the open platform of M4 gas guns - with one chinese manufac having jumped on the bandwagon and stuck some models out and at least one more ready to chuck their hat into the ring. More importantly its gathering support from the cheap aftermarket part manufacturers in a way that few other gas guns have. 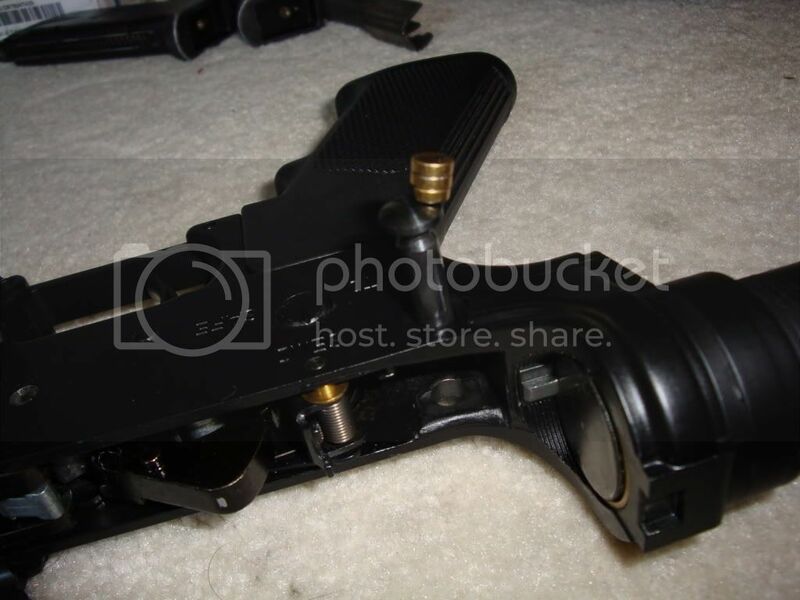 Now some of that stuff is awful some of that is good, but at rate its coming out I wouldnt be too surprised if we end up with good bad and indifferent components covering all internal aspects of the gun by chrimbo. That'll take a bit of careful trawling to seperate the wheat from the chaff but it shouldnt take too long to identify the ones to grab and the ones to avoid. Not sure what to make of that thought. On the one hand, I've never been keen on replacing deficient parts with ones by the same manufacturer. On the other hand, (and much worse IMO) I couldn't help but wonder what KJW would be doing putting out an improved hop-up (for instance) as an upgrade. Why the fork wasn't it in the gun to begin with????? I gotta say, it kinda worries me slightly that there are now 3(?) 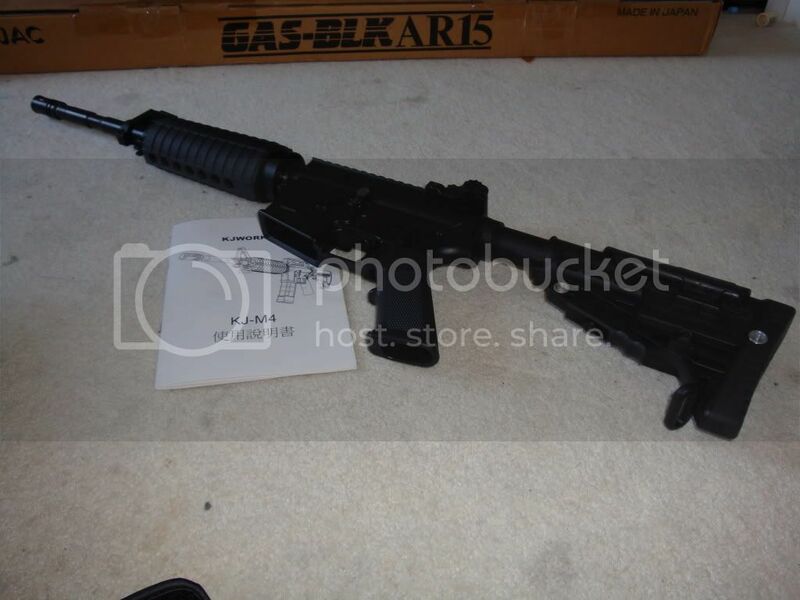 totally unique gas M4s out there which're all totally incompatible. I suspect if TM, CA and ICS had acted like this ten years ago we'd currently have a right mish-mash of AEGs and a huge cupboard full of the same magazines to suit different brands of gun. I hate to say it but I hope the KJW gun doesn't turn out to be very reliable or accurate. All it's doing is messing up a market that already desperately needs to sort itself out. Beyond that, I'm not keen on the ugly hop-up adjuster or the strange mechanism so it'd almost be a shame if it did turn out to be the most practical gun of the type. I know that sounds a bit harsh but it's just starting to feel like the whole market is gonna go bonkers to me. I'd love to see other manufacturers starting to produce guns that use any of the existing mag types. At leat that'd begin to show some consolidation. Actually, apologies to Donut for dragging this too far off-topic. For some reason I thought this was still the news thread about the gun. Anyway, very impressive how much of that gun seems to be made from something iron-based. There's more aluminium in a real AR15 than in the KJW gun, by the looks of it.